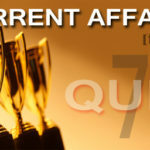 Top Most Current Affairs Mock Test Quiz related Important General Awareness With Gk Questions. 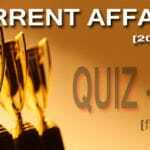 Online Free Gk Quiz [GkQuestions and Answers quiz] Monthly Current Affairs hindi, Indian Current affairs hindi etc. Que (1): Who won a gold medal in the recent Commonwealth Games ? Que (2): Which of the following is false about Pawan Chamling ? [A] He is Chief minister of Sikkim. [B] He has become chief minister for the fifth consecutive time. [C] He belongs to Sikkim Democratic Front (SDF). Que (3): Which of the following will be a beneficiary state of Polavaram Project ? Que (4): In which of the following countries “Martial Law“ has been declared recently ? Que (5): Which of the following countries did not sign Central Asian -Nuclear-Weapon – Free – Zone Treaty ? Que (6): Who has topped the list of billionaires released by the Forbes Magazine in 2014 ? 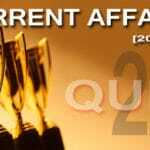 Que (8): Who is the following has been appointed as National Security Adviser ? Que (9): The first sanctuary of Migratory Birds in this state is proposed to be made in which of the following dam ? Que (10): Which of the following is an Indian air-to-air Missile ?